Whenever an out of place stonework is found in America the academics explain it away as being part of a "railroad" even if they have no explanation as to why a railroad would be in that particular location. Such as when they find stones 20 feet underground they say it was part of a railroad. 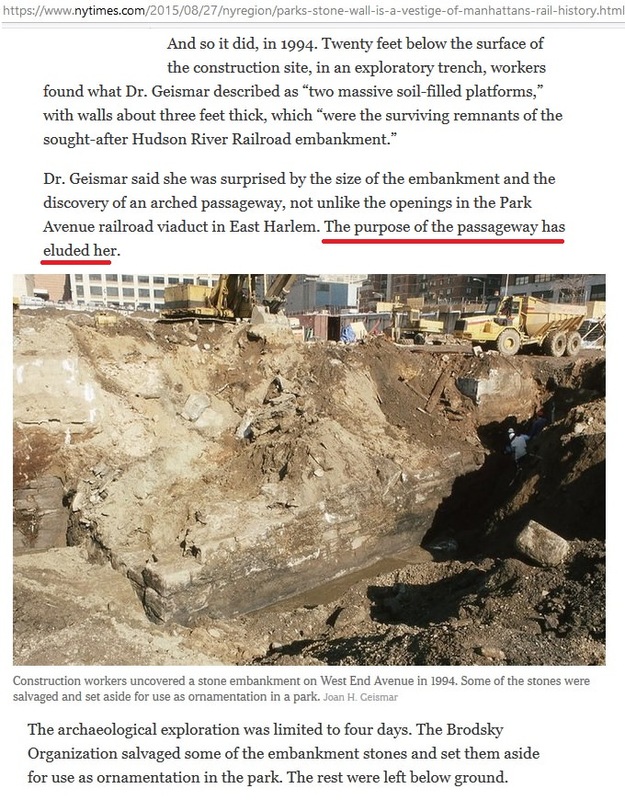 It is not a subway, so why is there a railroad buried in 6 meters of mud under the streets of New York? Very strange don't you think.